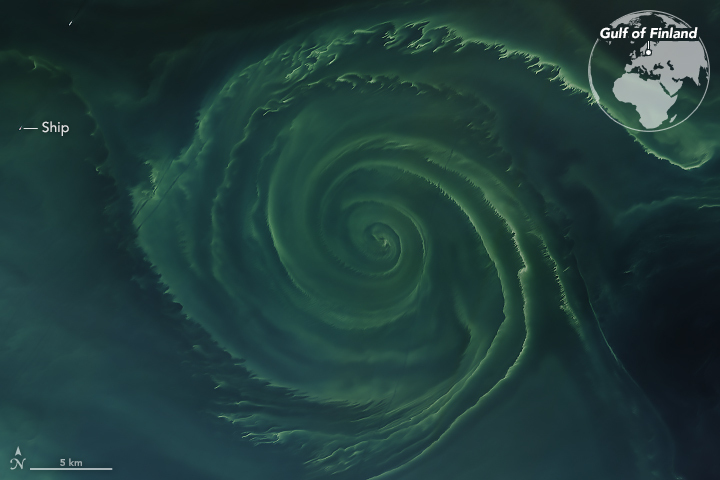 On July 18, 2018, the Operational Land Imager (OLI) on Landsat 8 acquired a natural-color image (above) of a swirling green phytoplankton bloom in the Baltic Sea. 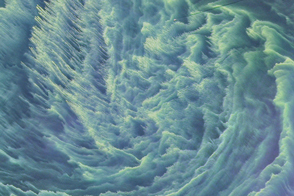 Note how the phytoplankton trace the edges of a vortex. In recent years, the proliferation of algae blooms in the Baltic Sea has led to the regular appearance of “dead zones” in the basin. 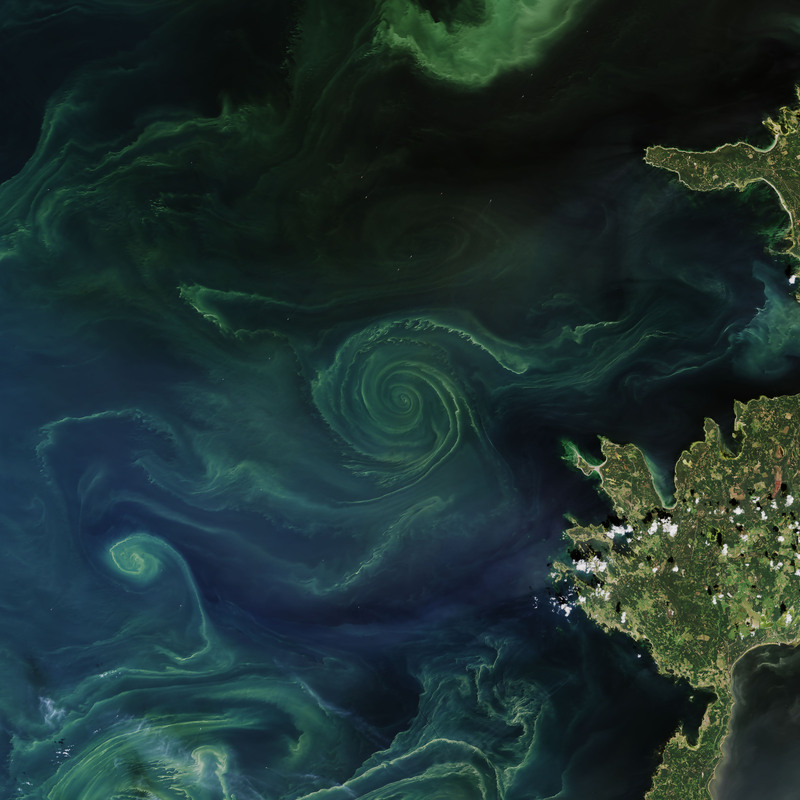 Phytoplankton and cyanobacteria consume the abundant nutrients in the Baltic—fueled in part by past and current runoff from sewage and agriculture—and reproduce in such vast numbers that their growth and decay deplete the oxygen content of the water. According to researchers from Finland’s University of Turku, the dead zone this year is estimated to span about 70,000 square kilometers (27,000 square miles). 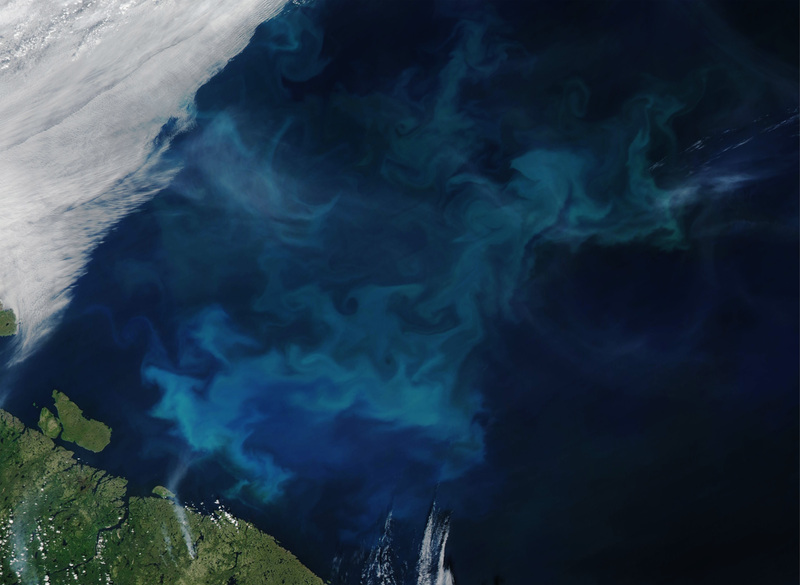 On July 20, 2018, the Moderate Resolution Imaging Spectroradiometer (MODIS) on NASA’s Aqua satellite acquired the second natural-color image of a different bloom in the waters off of Norway and Russia. The milky teal and white blooms are probably coccolithophores, which have tiny, chalky, calcium carbonate shells. 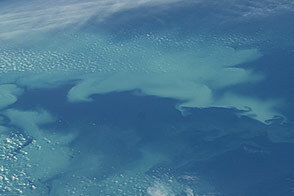 The variations in brightness and color is related to both the concentration of phytoplankton and to the depth, as coccolithophores can grow as much as 50 meters below the water surface. Research has shown that diatoms tend to dominate the waters of the Barents Sea in the early summer, when surface waters are well mixed. As summer temperatures heat up and the water settles into warmer and cooler, fresher and saltier layers (stratification), coccolithophores start to take over. NASA Earth Observatory images by Joshua Stevens and Lauren Dauphin, using Landsat data from the U.S. Geological Survey and MODIS data from LANCE/EOSDIS Rapid Response. Story by Mike Carlowicz. Uutiset (2018, July 15) Environmental agency: Nearly entire Gulf of Finland overrun with blue-green algae. Accessed July 22, 2018. European Scientist (2018, July 6) Scientists warn of unprecedented oxygen loss in Baltic Sea. Accessed July 22, 2018. European Geosciences Union (2018, July 5) New study: oxygen loss in the coastal Baltic Sea is “unprecedentedly severe.” Accessed July 22, 2018. Xinhua (2018, June 8) Warm weather in 2018 may case earlier algae blooms in Baltic Sea: Finnish Environment Institute. Accessed July 22, 2018. 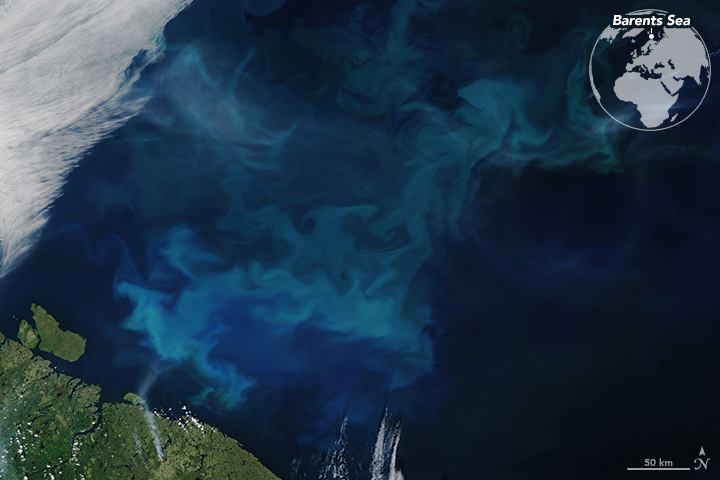 NASA Earth Observatory (2015, August 23) Blooming Baltic Sea. 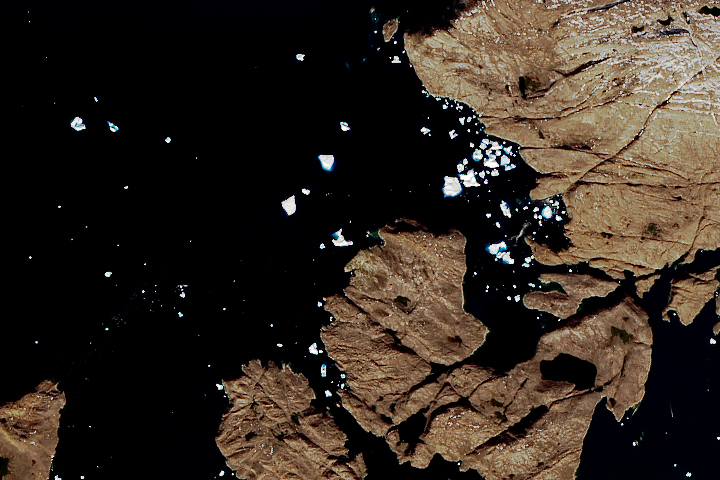 NASA Earth Observatory (2014, April 18) Notes from the Field: An Appreciation for True-Color Satellite Imagery. 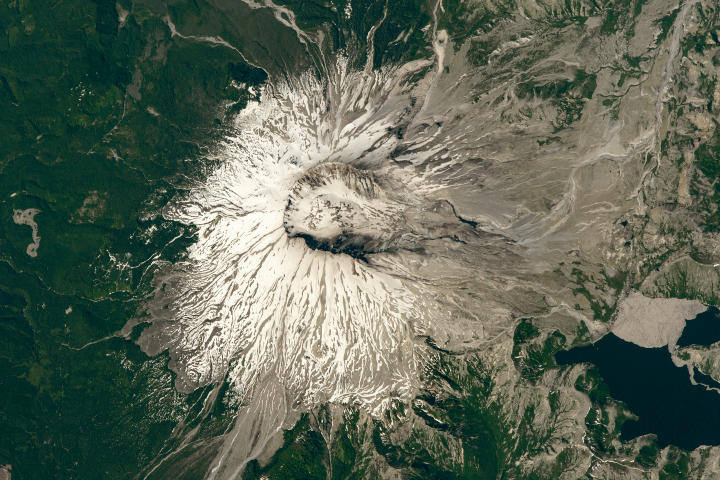 NASA Earth Observatory (2011, August 23) Earth Matters: Yes, that bloom really is that color. 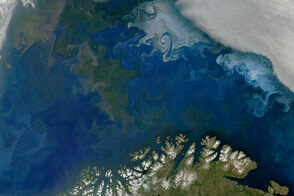 NASA Earth Observatory (2011, August 18) Bloom in the Barents Sea. Signorini, S.R., and C. R. McClain (2009) Environmental factors controlling the Barents Sea spring-summer phytoplankton blooms. Geophysical Research Letters, 36, L10604.